The ONS’s latest employment survey seems to bring good news. But what happens next in the UK jobs market? Today’s employment figures issued by the Office for National Statistics (ONS) show a healthy labour market in the UK. The last six months of 2018 saw a steady rise in the number of people in work, with a total of 32.53 million in employment between September and November. That’s 328,000 more than for the same period in the previous year, leading to an employment rate of 75.8 per cent – the highest since records began in 1971. These headline figures look like good news for the UK economy, especially at a time of ongoing Brexit uncertainty. According to the ONS, there were 91,000 redundancies between September and November 2018, which was 19,000 fewer than the same period in 2017. This suggests that businesses are steadying their ships after a rush of redundancies the year before, perhaps becoming more accustomed to trading at a time when the future is hard to predict. Arguably the best indicator of this newfound confidence among employers is the number of job vacancies that became available over a similar period. Between October and December 2018, 853,000 vacancies were on offer: 10,000 more than during the previous three months, and 39,000 more than the same period in 2017. The ONS says this is the joint-highest estimate of vacancies since records began in 2001. So far so good, especially if you’re a company like ours, for whom recruitment is our bread and butter. But dig a little deeper and you may discover that the data isn’t uniformly positive. For example, the number of people working in agriculture, forestry and fishing fell by 34,000 between September 2017 and September 2018. This indicates a decline in these sectors, which could be a result of agricultural businesses tightening their belts in advance of a potentially harmful hard Brexit. If we leave the EU without reaching a trade deal, World Trade Organisation (WTO) tariffs will be imposed on our exports to the EU. As a result, they will seem very expensive to EU customers, and demand may well dry up. 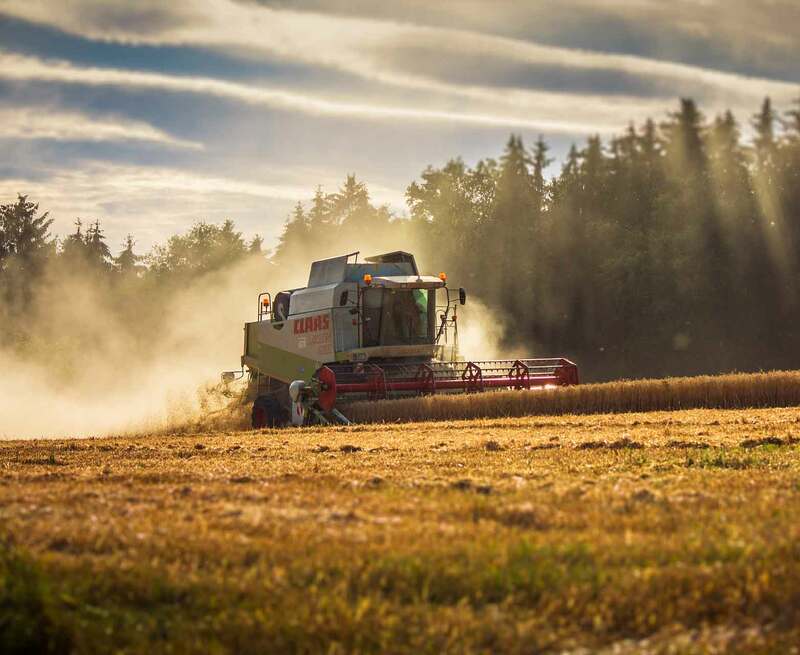 If you operate a food or farming business with a strong export operation, now would be a good time to reduce your workforce and prepare for tougher trading conditions. And according to the latest ONS data, that’s exactly what is happening: a trend that will have the biggest impact on regions such as Scotland, East Anglia and the South West, where land-based occupations remain an important part of the employment available. The other jobs that have declined in number between 2017 and 2018 are administrative and support roles, where the drop has totalled 61,000. Again, this may reflect a falling away in employer confidence, since many such jobs come into the “nice-to-have” rather than the “must-have” category of business roles. As employers look to cut costs in advance of a potential economic slowdown, they review the make-up of their workforce, making cuts to roles that don’t seem business critical. What the overall employment figures show is that these job losses are currently being compensated for by growth in other areas. For example, there were 51,000 more jobs in the public sector between September 2017 and September 2018. Many of these would have been unskilled jobs in the National Health Service, which employs almost a third of the public-sector workforce. 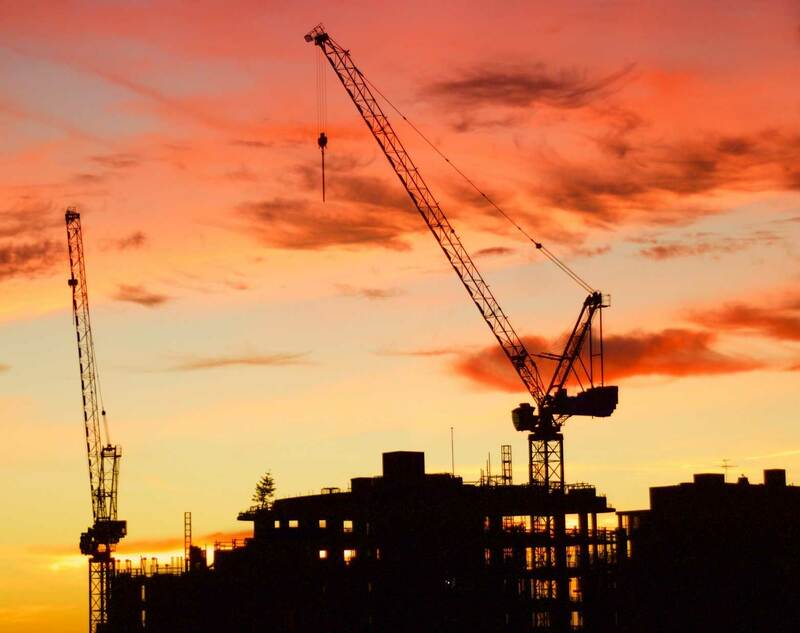 The construction industry also enjoyed an increase in employment between 2017 and 2018. Since this sector is often seen as a bellwether of economic vibrancy, it suggests that the post-Brexit outlook may not be as bleak as some, including the Bank of England, have suggested. If the ONS figures give grounds for cautious optimism among employers and job hunters, they of course can’t allow for the actual impact of Brexit, whenever it happens and whatever shape it takes. The crucial statistics will be those that come out this time next year, because they will show the affect of our withdrawal from the EU on the UK labour market. 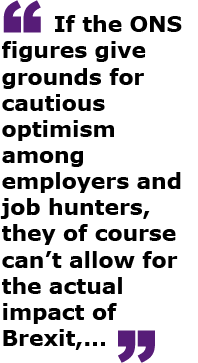 Until then, it is encouraging to see that many businesses are not being overly cautious about taking on new employees and that jobs are being created to soak up the losses in at-risk sectors. This certainly chimes with our experience at Just Recruitment. Such a cycle needs to happen at a regional as well as a national level in order to ensure that areas of the country such as East Anglia are Brexit-proofed. The result for employers may be a reskilled workforce. For job seekers, ongoing employment may necessitate a willingness to retrain, or work out of their field of expertise. This week’s statistics are undoubtedly positive, because high employment is good for the economy. Now’s the time to capitalise on that positivity, making sure that employers and employees alike are ready to weather whatever happens next. If you liked this article you may like to read – How will the Taylor review affect your business?